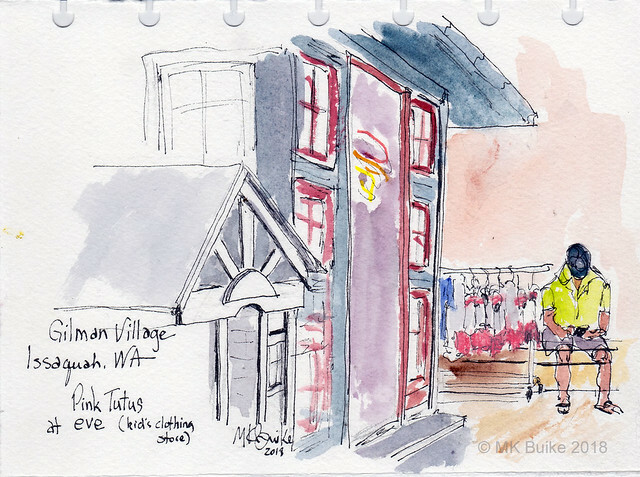 We again went a little further afield to Gilman Village in Issaquah. I'd suggested it as I've enjoyed sketching there. All the shops and restaurants are houses, buildings and other structures preserved from Issaquah's historic past. Fortunately there were lots of trees and shady spots as we needed it. Brittany attended for the first time here in Seattle and brought her 5 month old baby. 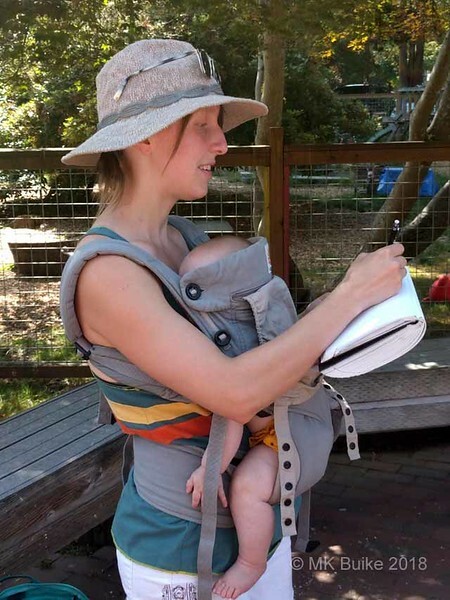 We've had some young children come with sketchers but this is the first time I've seen a sketcher with babe in arms (so to speak). How delightful is this? 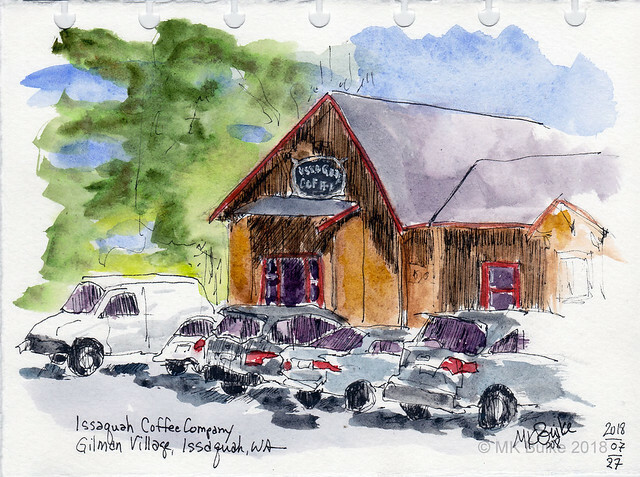 As I waited for sketchers to arrive, I sat in the shade and on the rear hatch of my car to sketch the meeting spot, Issaquah Coffee Company. I tried using more hatching. 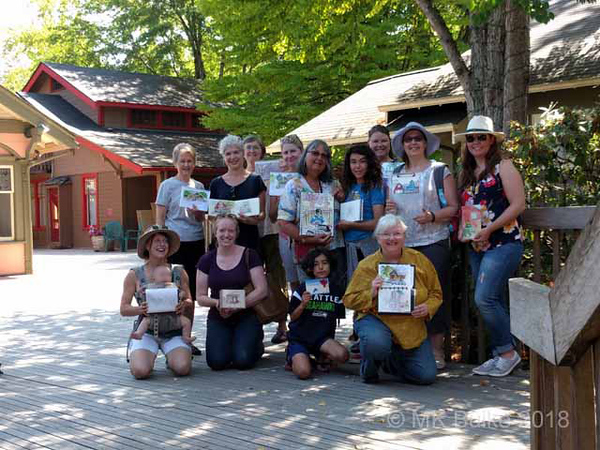 It was getting increasingly warm early and was nearly 90 degrees by the time we finished. So this view of some pink tutus was not exactly what I would have preferred but it was from a shady spot. The man sat down for about 5 minutes and ended up in my sketch. Don't sit still or I'll draw you...and you don't even really have to sit still! Everyone are smiling including baby.. The baby was happy and calm!